Dr. Andrew Fagelman is a board certified internist who treats all his patients with compassionate and individualized care. 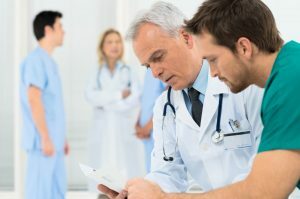 He is a strong proponent of educating his patients so they can actively participate in their treatment. Hallmarks of his practice are preventive care, screening, risk factor modification, and health promotion. His office also serves as a training center for new physicians. The internal medicine services offered at Soho Health are comprehensive. Dr. Fagelman offers wellness and health care for adults, preventive care, diagnosis, management, vaccines, immunizations, and sexually-transmitted disease (STD) screenings in Midtown. Medical advances in diagnosis and treatment have improved the care and outcome of STDs. The side effects of these drugs have also been alleviated. In addition, as a society we have altered our opinions of STDs and the stigma once associated with them is no longer an issue. The STD screening in Midtown provides discretion and the best possible care by a staff of compassionate professionals. We understand how sensitive and vulnerable people may feel about these tests and we do our very best to treat you with dignity and make you feel comfortable, We test for a wide array of STDs including HIV and AIDS, gonorrhea, syphilis, herpes, genital warts, pap smears, and chlamydia. Much of what we suggest is prevention. Before intimacy, make sure you have condoms or other options that can reduce your chances of contracting an STD. But since nothing is 100% sure, the STD screening in Midtown provides a timely and confidential diagnosis so you can begin treatment before the condition worsens. Based upon the diagnosis and the severity of it, your life could be at risk if you ignore the problem. You may also want to come in as a precautionary measure. It is not at all uncommon for those embarking on a relationship to get screened simply to reassure a new partner. We encourage this. It’s responsible and it sets a tone of mutual trust and respect. Physically, it’s an easy process to get screened. It’s typically a simple blood or urine test, and in some cases a pap smear for women. So call us today and get peace of mind.